Nowegian Wood has been probably the most anticipated film for me since the announcement of its adaptation (3-4 years ago) of Haruki Murakami's heartbreaking book on the first love with the Vietnamese auteur Tran Anh Hung (Scent of Green Papaya, Cyclo) at the helm. 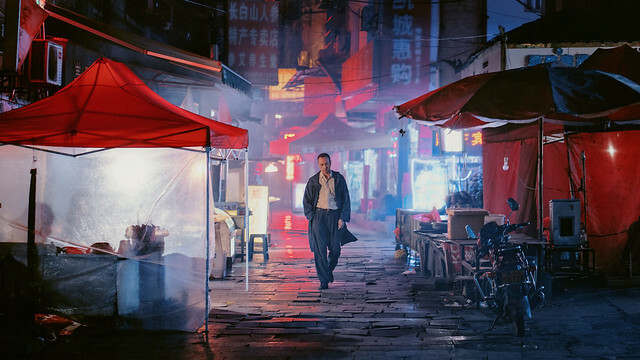 For those who've read the book, the film is a great companion piece: with picture perfect framing, fluid camera movement, light and weather sensitive anamorphic cinematography (by In the Mood for Love cinematographer Lee Ping Bin). Tran, known for his sensual imagery, makes every scene and nuance count, gets every periodical detail right. As Naoko, the girl who's in love with the ghost, Rinko Kikuchi is a perfect match. Her always searching, wide eyes pierce right through your heart. Kenichi Matsuyama possesses Toru Watanabe's innate goodness and naivete but doesn't quite pull off the wise nonchalance of the usual Murakami protagonist. 2 hour runtime doesn't really do justice as the film breezes through. The film feels empty behind all the pretty pictures, not as affecting as the book. Not a huge letdown but can't help being disappointed.